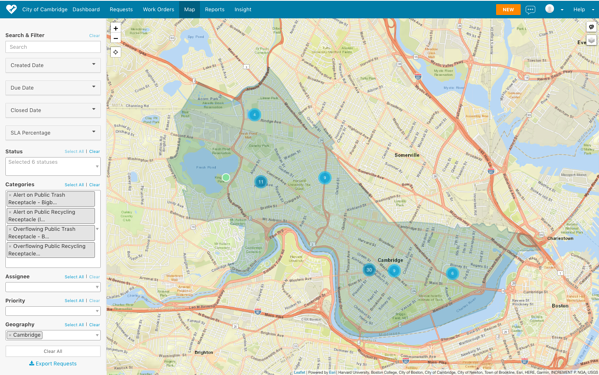 NEEDHAM, MA / FEBRUARY 27, 2019 -- Bigbelly, the leading provider of multi-purpose waste infrastructure, announces the launch of its CLEAN API (application program interface), which allows developers to integrate with its world leading smart waste platform. SeeClickFix, the original and leading platform for non-emergency repair requests and data, is the first to integrate with the CLEAN API. With the new integration to Bigbelly’s API, SeeClickFix partner cities can now receive and process notifications about the status of Bigbelly stations in the same system that they already manage public service requests. In addition, the rich public service request data collected by SeeClickFix will now include waste collection and Bigbelly usage information. 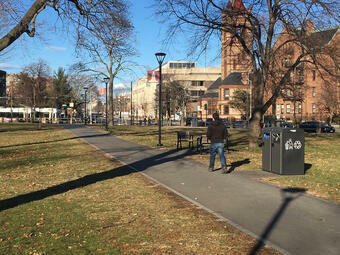 Cambridge, Massachusetts is one of the first cities to deploy the Bigbelly and SeeClickFix integration. 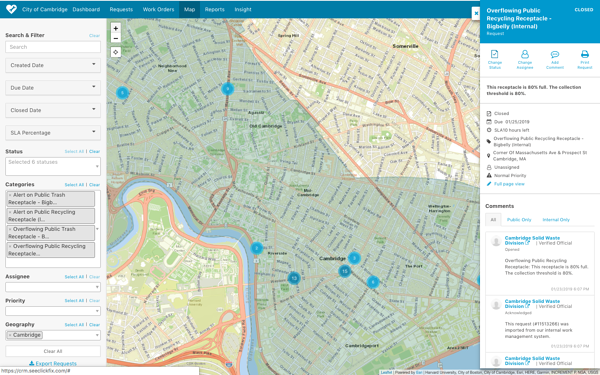 “As longtime partners of both Bigbelly and SeeClickFix, we are thrilled that these tools are now integrated to be even more user friendly for our day-to-day operations,” commented Dan Riviello, 311 Project Manager, who advocated for Cambridge’s use of the integration. Bigbelly is a prominent smart solution provider as the world leader of smart waste and recycling. 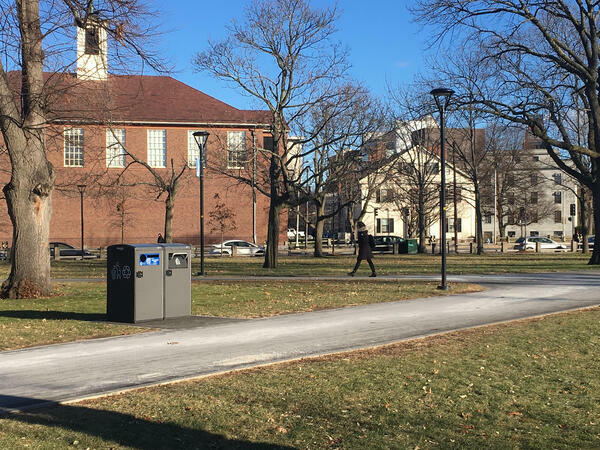 Deployed across communities, campuses and organizations in over 50 countries, the cloud-connected Bigbelly smart waste and recycling system combines smart, sensing, compacting stations with real-time software. Customers experience up to 80% collection reduction plus cleanliness, operational, economic, and environmental gains with Bigbelly. 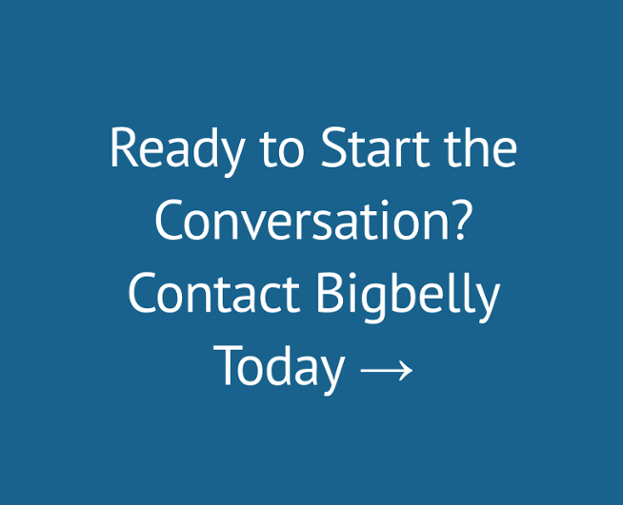 In addition to modernizing waste management, Bigbelly provides a multi-purpose platform in the public right-of-way to host telecommunications infrastructure. SeeClickFix, a virtual 311 and workflow management platform, provides municipalities everything needed to collect, manage, resolve and report on public service requests. 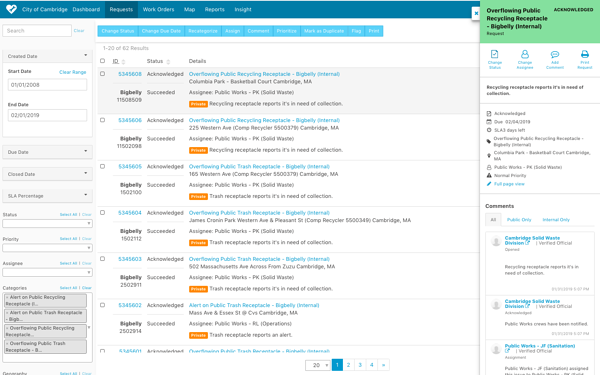 Over 340 local governments across the U.S. and Canada rely on SeeClickFix’s citizen request platform, work order management system, service level reporting, and mobile apps to build trust one request at a time.